In Spain, the month of May brings longer days, warm temperatures and clear blue skies. Cities come alive with festivals and cultural celebrations and beach destinations begin to reopen after the winter months. May is the ideal time to wander around and explore some of Spain's top cities or relax on the beach with temperatures not dipping below 20 degrees. 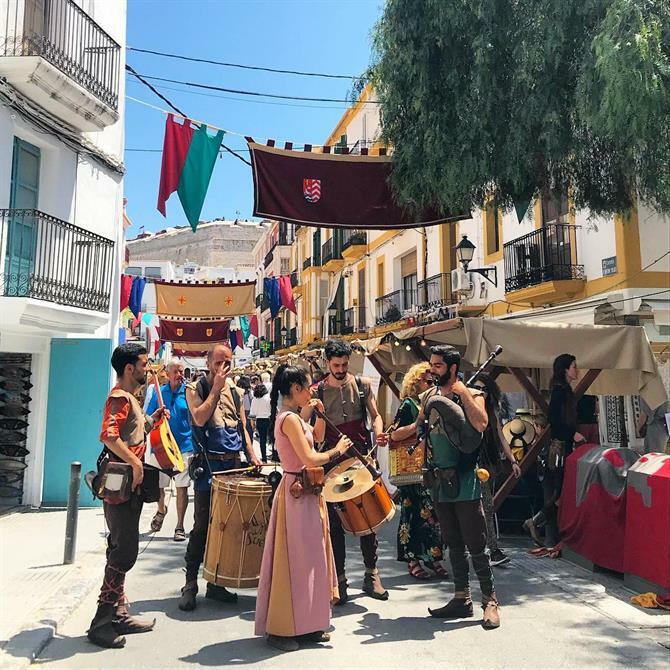 Discover the best 7 places for a holiday in Spain in May, not only perfect for sightseeing, relaxing and partying, but also be an excellent option for those who want to sunbathe, get to know the local culture and take part in exceptional fiestas. Andalusia is a region of great cultural wealth, where history mixes with tradition. The unique charm of this part of Spain is due to the long ages of co-existence between Christians, Jews, Muslims and Gypsies. Strolling through Córdoba, it's easy to see cultural fusions left by these occupations with stunning architecture and extraordinary sights, such as the famous Mezquita in Córdoba or the amazing castle of the Alcázar. Córdoba city comes alive in May. For a month, this Andalucian town becomes a spectacle of colour. Thousands of flowers adorn the town and the aroma of blooming oranges fills the air. 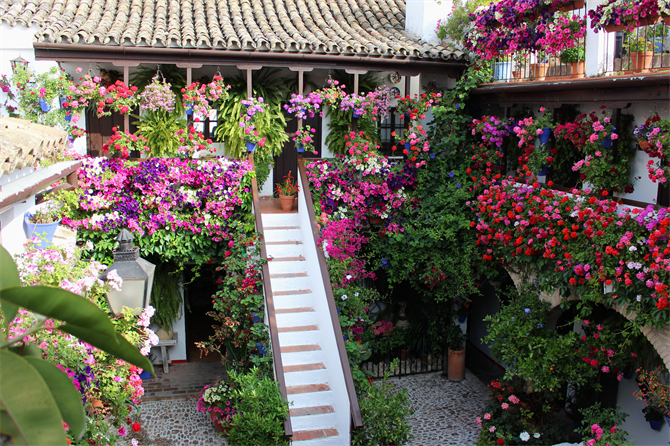 'La Fiesta de Los Patios de Córdoba' is for many, the most awaited event in Spring. Every year, for 12 days, the inhabitants of Córdoba open their patios, revealing flower carpets, hand-made Arabic mosaics, refreshing fountains and beautiful terraces. The best thing about looking for accommodation in Córdoba city is that you can find such houses with a beautiful inner patio and enjoy them for yourself. If you do not make it to the Patio Festival, all is not lost. In May there is also a festival known as 'Cruces de Mayo' or the 'Festival of Crosses,' in which the inhabitants compete for the best-decorated cross made of flowers. The celebration is accompanied by a procession known as 'La Batalla de las Flores' - The Battle of Flowers. 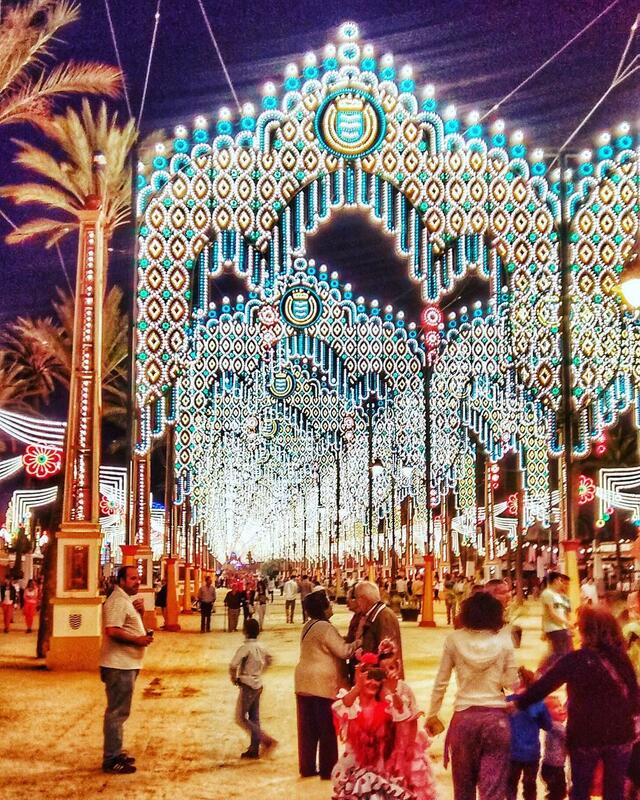 Celebrations of the festivities in May end with the Feria de Córdoba, the younger sister of the internationally known Feria in Seville. Although it is sometimes overshadowed by its big brother Barcelona, Girona is a hidden gem in the region of Catalonia. Although every year more and more people are staying in Girona city, it has maintained a more relaxed atmosphere than that of Barcelona. 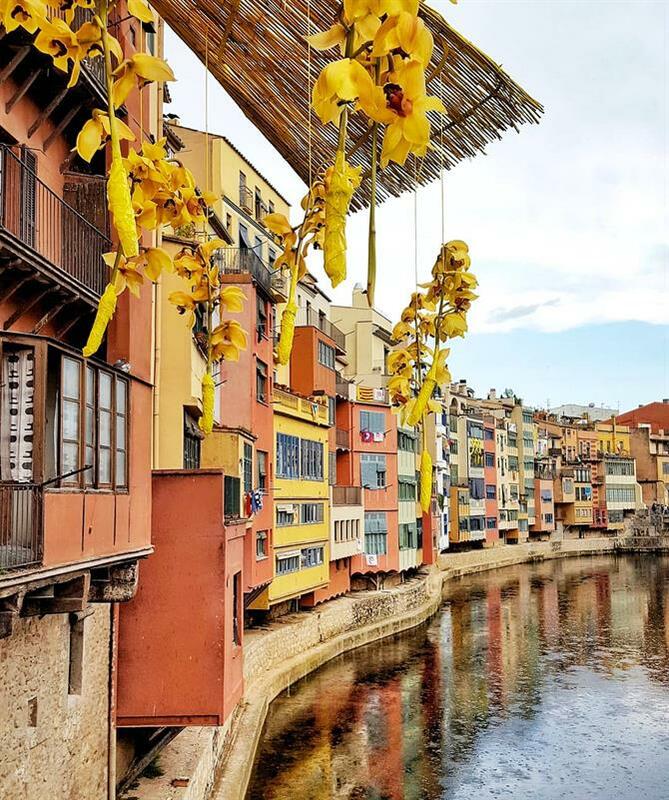 Here, places are still frequented by locals, such as coffee houses and bars and many people from the region come to Girona for their prolific festivals. Stroll through the ancient walls, lose yourself in the splendour of the wonderfully preserved Jewish quarter, visit the numerous monuments or just enjoy the view of Casas de l 'Onyar - the colourful houses located on the river. 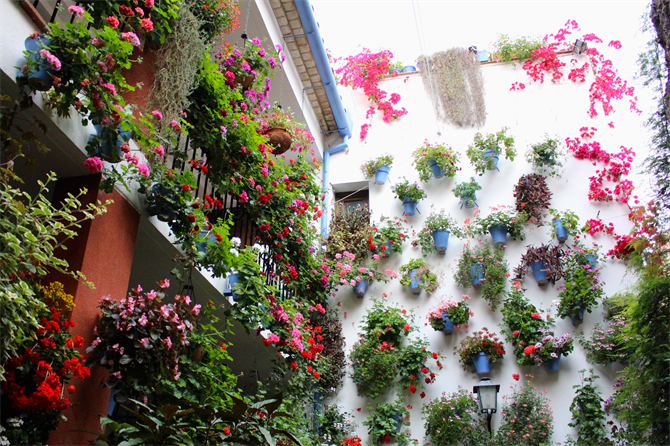 In May, like Córdoba, Girona is adorned with flowers. 'Temps de Flors' is an annual celebration for the arrival of spring. 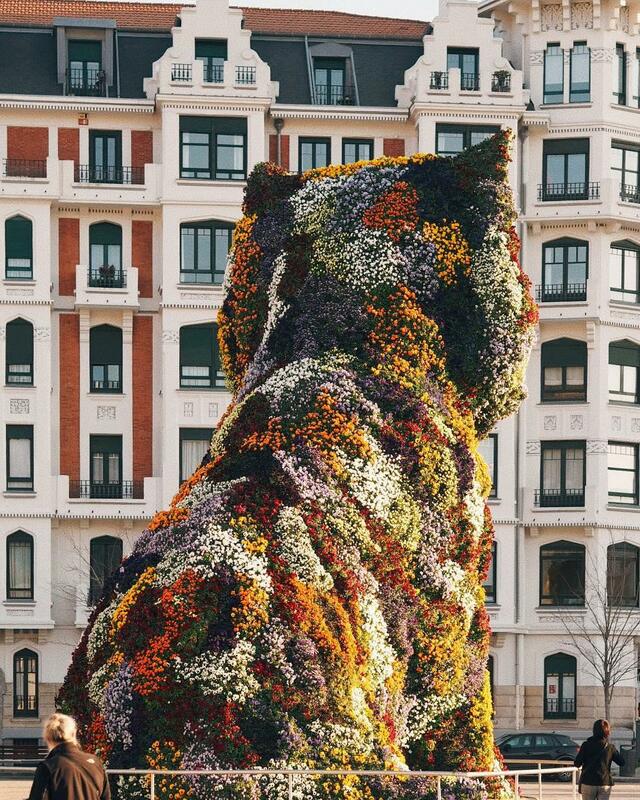 The streets in the city are transformed into galleries displaying floral sculptures and creations, decorations appear all over the city but can mainly be found in the historic centre. If you like to spend time in nature, rent a villa in Girona with your friends or family, take your bikes and explore the area. Over the past few years, Girona has been named among the best destinations for a cycling holiday. The diversification of the area, good weather and proximity to airports means well-known personalities from the cycling world have decided to settle here permanently. This was the case with Canadian Christian Meier, who after moving to Girona as a professional cyclist, decided to stay in the city. Meier and his wife opened 'La Fabrica' cafe, which enjoys great popularity among both locals and visitors. 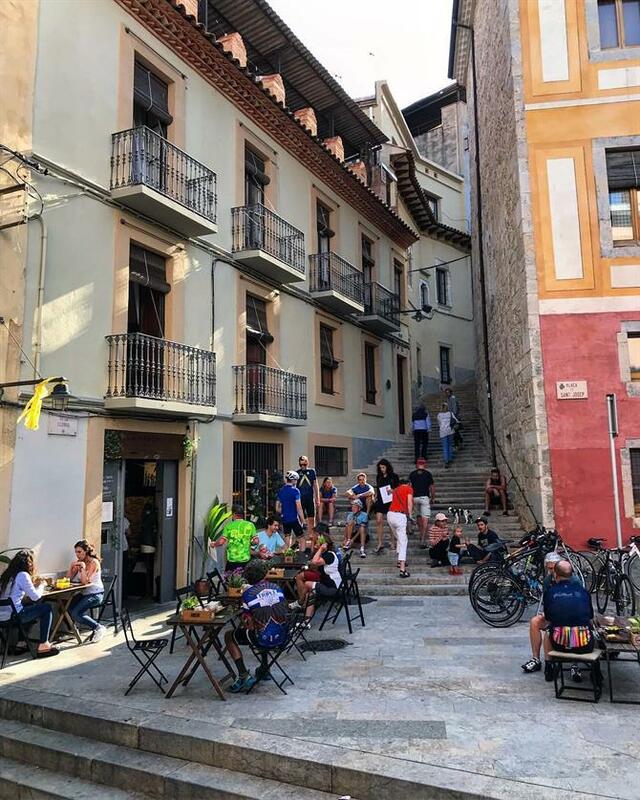 A place you must visit, even when spending only 24 hours in Girona, it offers excellent breakfasts and brunches and it is almost guaranteed you will run into other cycling enthusiasts. If you want to spend a few days eating in some of the best restaurants in the world, Bilbao should be on your list of places to visit. The culinary culture of the Basque Country is one of the most appealing motives for tourists to visit this region. In every conversation about Bilbao, "pintxos" will crop up. They are unlike conventional tapas that we know from other parts of Spain; Basque pintxos are real mini-creations and culinary works of art to be consumed in one bite. 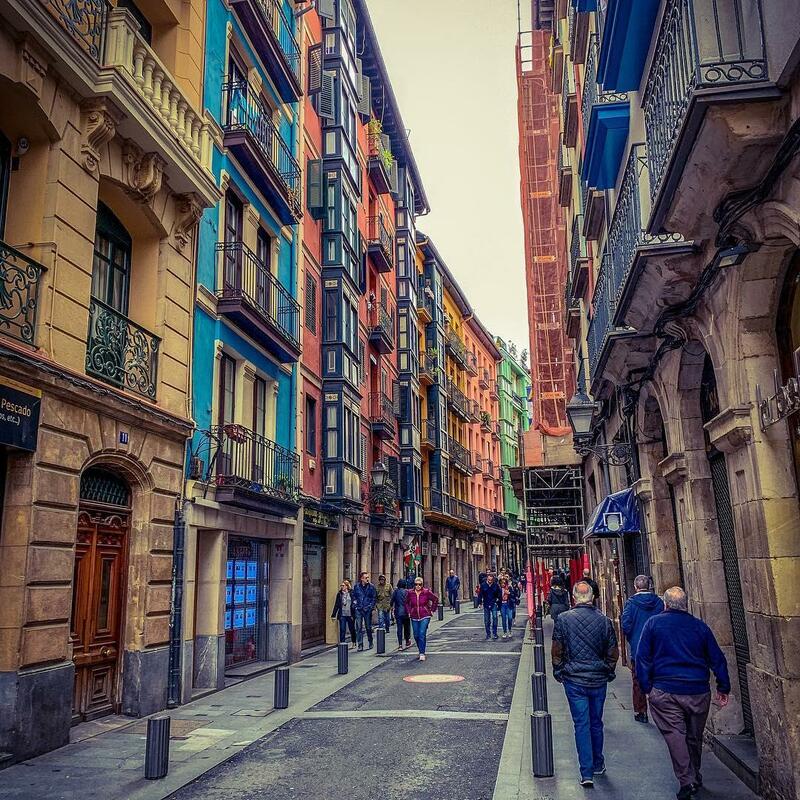 In the spirit of the locals, rent an apartment in the city of Bilbao, put on comfortable shoes and head for the Old Town (Casco Viejo). Here you will find the cathedral and the famous Mercado de la Ribera. The pedestrianised streets are perfect for travellers who want to spend their free time exploring the city on foot. Around the Casco Viejo, there are many small restaurants offering pintxos, which are complemented by red Rioja wine or local white wine, Txakoli. On Sundays, in particular, the centre attracts residents who want to spend the day chatting, socialising and wandering around the antique market. When visiting Bilbao you can not fail to visit the Guggenheim Museum designed by Frank Gehry. This placed Bilbao firmly on the tourist map of Spain. It hosts exhibitions with paintings and sculptures, but the outer structure of the museum is a work of art in itself. Many visitors go to capture the iconic, slightly dark photo with a giant spider or in front of the floral sculpture of a puppy by Jeff Koons. 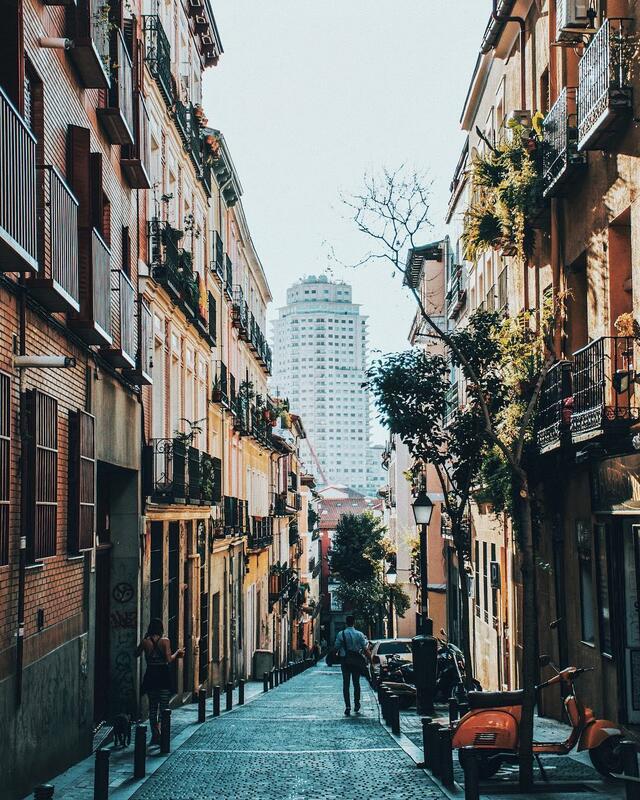 No one needs much convincing to visit Madrid, but not everyone, however, realises that Madrid is not always warm. The weather here can change drastically throughout the year - temperature and humidity wise. May is one of the best months in the year to visit the city; temperatures are pleasant, it is not humid and rain is unlikely. Madrid can be scorching in the summer, causing residents to leave the city often meaning that many shops, bars and attractions are closed. 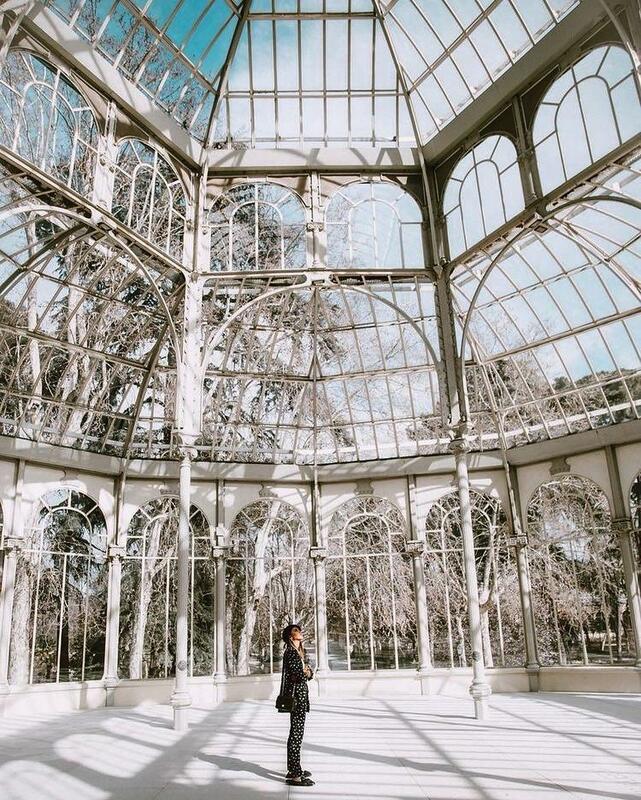 In the Spring, the city is full of life, the streets and parks are full of walkers and there are also more opportunities to explore Madrid for free. There is no shortage of accommodation in Madrid, you can stay near the iconic El Retiro Park or choose an even more central location in and around Puerta del Sol. Access to the most important attractions are simple and easy to get to, not forgetting that Madrid also has a very efficient metro system. It is recommended to dress comfortably if you want to enjoy the beautiful buildings and wide streets of Madrid on foot. In May the celebration of the city's patron saint takes place - Saint Isidore (Fiestas de San Isidro). During this time, in addition to the typical attractions such as museums, parks, monuments, you will be able to see parades, participate in outdoor picnics, concerts, performances and shows organised throughout the city. 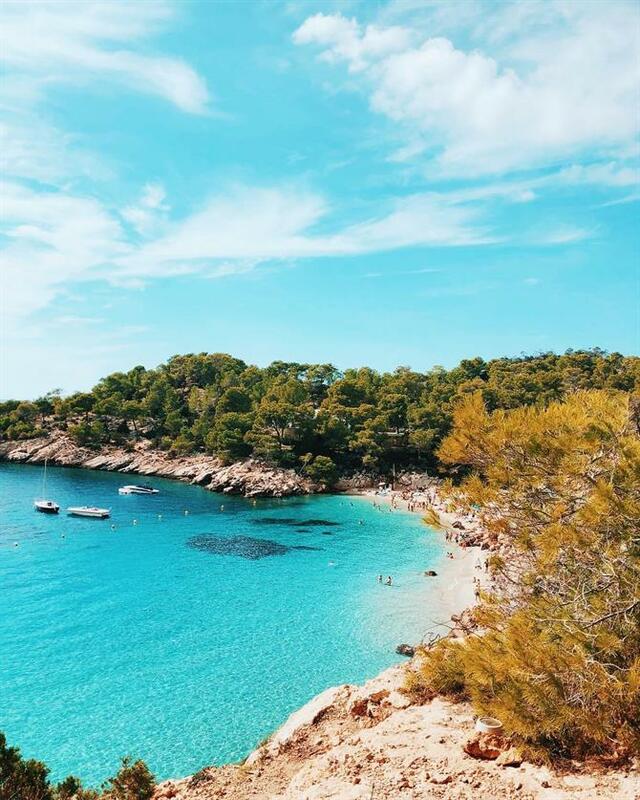 Ibiza has 210 km of coastline and is one of the most beautiful beach destinations in Spain. 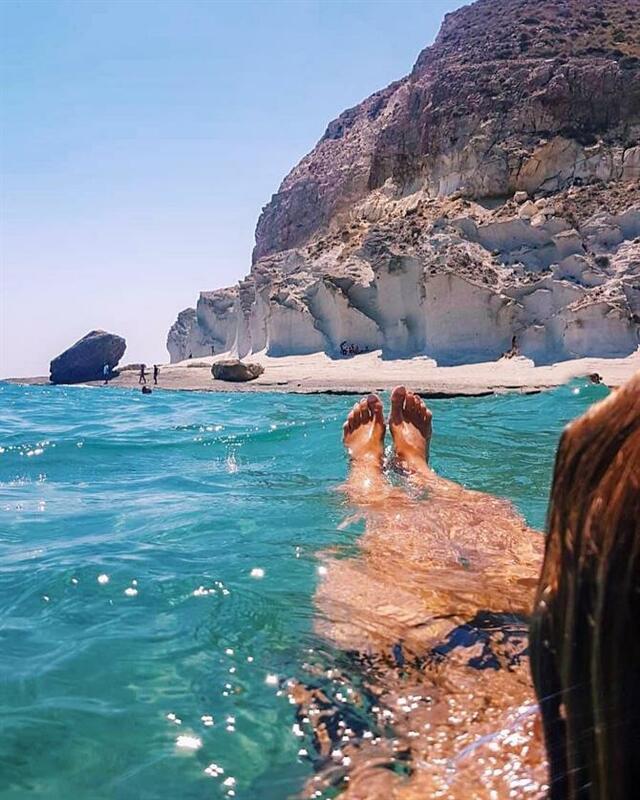 In addition to the party scene, this island is famous for its crystal clear aquamarine waters, and pearly white sand hidden among the jagged, wild coastline of turquoise bays. It was hippies in the 1960s and 70s who first put the Ibiza on the map. Today the island still enjoys a relaxed, bohemian atmosphere considering the influx of tourism it experiences. Rent a villa in Ibiza, take your favourite friends or your family, go to the local market and big up fresh local produce to enjoy at home. After breakfast on your terrace, take excursions to the many hidden beaches, wander around tiny white towns and sample the local cuisine. One of the best places to stay in Ibiza is in the capital of the island. Find accommodation in the heart of the city of Ibiza and explore the historic old town of Vila d'Eivissa. Similarly in Dalt Vila (the neighbourhood at the top of the old town) where in May, there is a medieval festival. This annual recreational and cultural event is a tribute to the multicultural heritage of the island attributed the occupations of Phoenicians, Romans, Arabs and Christians. On this occasion, the city returns to the Middle Ages with colourful decorations and motifs from this period. Participation in the festival is free, as well as entrance to many museums and galleries. Dalt Vila is also a great place to experience the lively bars, chilled cafes and visit boutiques with local handicrafts. Be sure to have an evening meal on the terrace of one of the local restaurants! Jerez de la Frontera has a long history, with Phoenician, Roman and Muslim occupation all leaving their mark on the city. But Jerez is most famous for its sherry, making it one of the most important places for wine tourism in Spain. Staying in this city without visiting one of the "guilty cathedrals" as the local vineyards are called is considered a sin! May is a unique time to visit Jerez as this is when the famous 'Feria de Caballo' takes place. A week-long event during which the whole city and neighbouring towns take part in games and celebrations. The Spanish-bred horses, which are the focal point of this festival, play a very important role. Over 200 casetas (specially prepared premises) offer great traditional food, as well as local wines: sherry and fino adding to the festive atmosphere. During Feria de Jerez the stands are open to the public, so everyone is invited to enjoy the food, drinks and dances. Gastronomy is one of the most important reasons to visit Jerez. If you want to immerse yourself in the culture here, the best way is to go to the Tabancos. Tabancos are taverns typical of this city, which were originally traditional wine offices. It was here that local wine vendors ate, drank and generally had a good time. 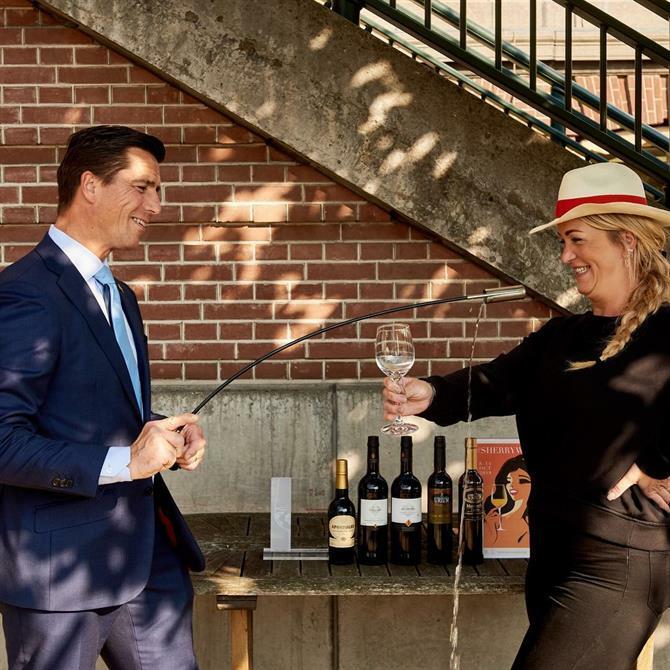 Rent an apartment in the centre of Jerez de la Frontera, choose one of the well-known wineries for an obligatory sherry tasting and sample some traditional tapas from the area. 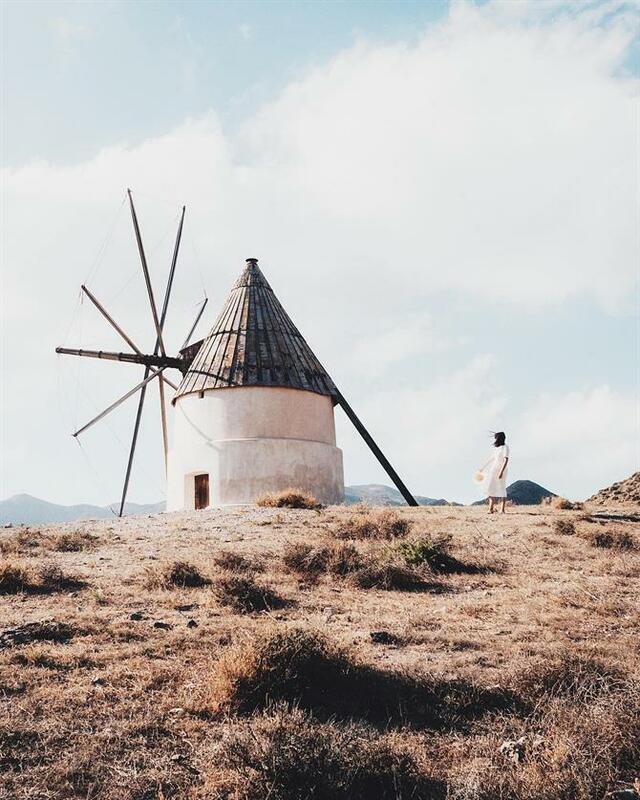 The fact that Cabo de Gata Nature Park is almost unheard of outside of Spain is surprising. This protected natural area is located in the eastern part of Andalusia, in the province of Almería. The rugged landscape here is stunningly beautiful. A desert connects the most spectacular, unspoilt beaches in this part of Europe. If you want to visit this region, choose accommodation in Cabo de Gata Park or go a little further and stay in the province of Almería. Distances in this part of Spain are not large, so roads to the beach from virtually every town in the area should take no more than 30 minutes. This torn, barren and somewhat desert landscape has often appeared as a backdrop for Hollywood classics such as "The good, the bad and the ugly" and "Indiana Jones and the Last Crusade". Although it can be fairly windy at times, the temperatures here are often the highest in the country. Spring is undoubtedly one of the best months to visit Cabo de Gats, in the summer it can be too hot. In May the temperatures reach a pleasant 24-25 degrees, meaning you can enjoy the beaches and walking in the area with comfort. If you like hiking on your holidays, you will find many trails in and around Gabo de Gata. This is a highly recommended activity during this period, especially as the mountains are covered with flowers and lush vegetation. Some of the views along the coast are breathtaking; 'Mirador de la Amatista' and 'Mirador de las Sirenas' are two of the best viewpoints. There are also fortresses and watchtowers reminiscent of pirate attacks that threatened this area in the past.